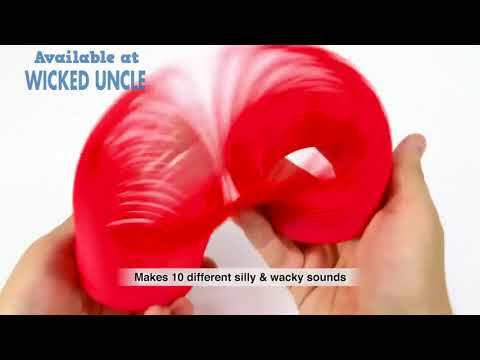 Fun, colourful plastic Slinky that makes ten different silly sound effects as it moves. A fun twist on the original slinky, this brilliant version makes ten random silly sounds as the spring falls and walks down stairs. Motion-activated, as this walking spring toy tumbles, you'll hear it crash, beep, giggle, whoop and more. The sound FX device is attached to the middle of the plastic slinky and comes with battery included. Hear the giggles as he moves and wiggles - Slinky with a twist! Slinky was invented in 1943 by naval engineer Richard James.